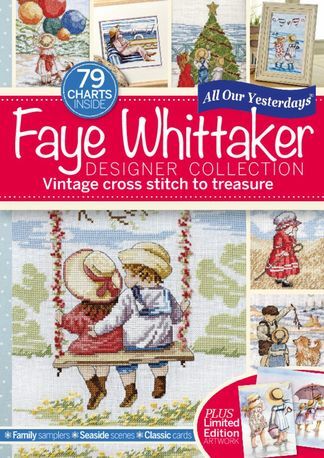 A vintage collection of Faye Whittaker's heart-warming cross stitch charts. Be the first person to tell us what you think about Designer Collection Faye Whittaker and you'll save $5 on your next purchase! https://www.isubscribe.co.nz/designer-collection-faye-whittaker-digital-subscription.cfm 15664 Designer Collection Faye Whittaker https://www.isubscribe.co.nz/images/covers/nz/541/15664/square/DesignerCollectionFayeWhittake191610441.jpg NZD InStock /Digital/Crafts & Hobbies/Textiles A vintage collection of Faye Whittaker&apos;s heart-warming cross stitch charts.